Free Shipping Included! Bopai Business 15.6 inch Laptop Backpack Intelligent Increase Compartment Invisible Anti-theft Laptop Rucksack USB Charging and Water Resistant College Travel Men Backpack, Black by Bopai at Pacs BG. MPN: Bopai1005. Hurry! Limited time offer. Offer valid only while supplies last. 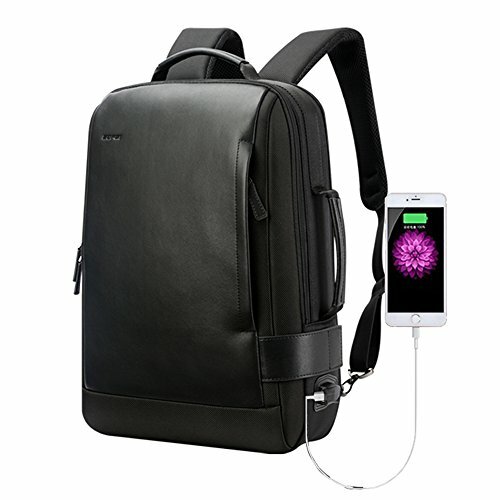 INTELLIGENT INCREASE DESIGN - This backpack has smooth zippers on the back side. Once pull on the intelligent zipper, the invisible compartment will show up and equipped with extra 50% of space. Best choice for short journey and easy your daily life.